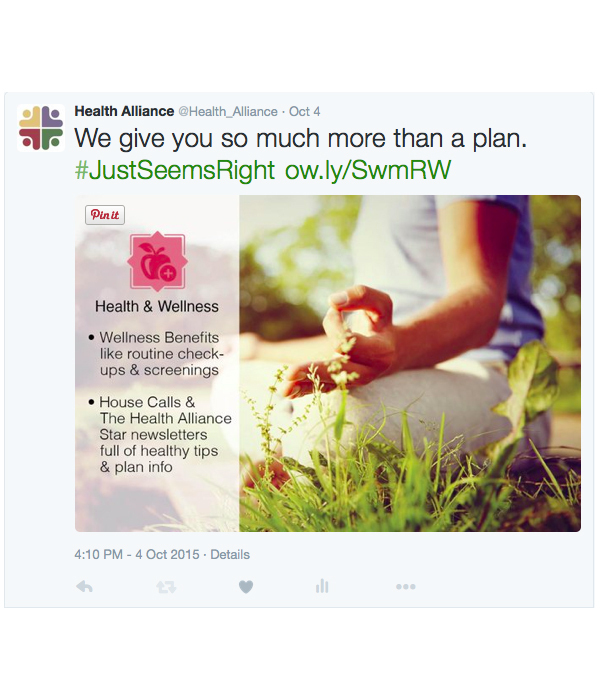 One of the biggest reasons I took the job at Health Alliance was the opportunity to run their social media. While they had a Facebook, Twitter, Pinterest, and LinkedIn before I got there, none of them were really being maintained. At most, Facebook and Twitter were getting a post a week. Customer service issues sometimes went unaddressed, and if they did get a response it took weeks. Taking over their presence was essentially starting from scratch, and I did almost all of it without putting money into the platforms. Most importantly, I developed a process for working with our customer service to get online issues addressed quickly and effectively. I had a 100% response rate and usually sat around an average 23-minute response time. 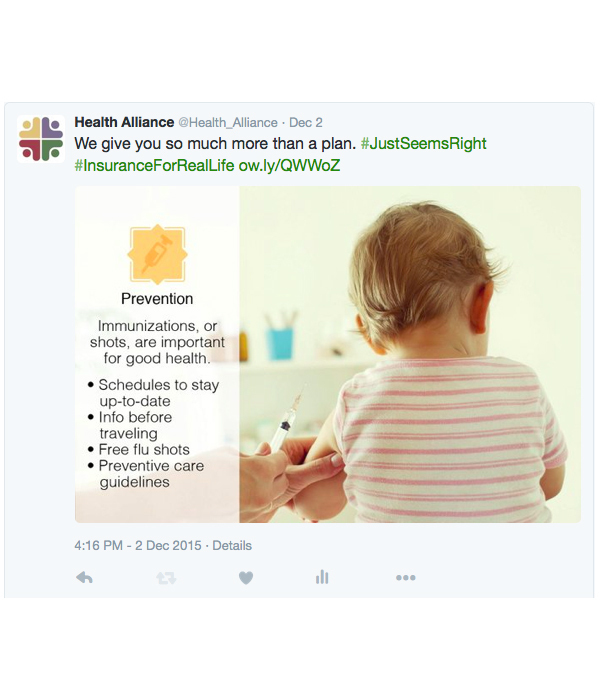 I also developed a social media brand by focusing on more than just insurance to transform us into an expert source of health and wellness information for our members. Build our Google+, Flipboard, Instagram, Issuu, Yelp, and Foursquare presences from scratch. 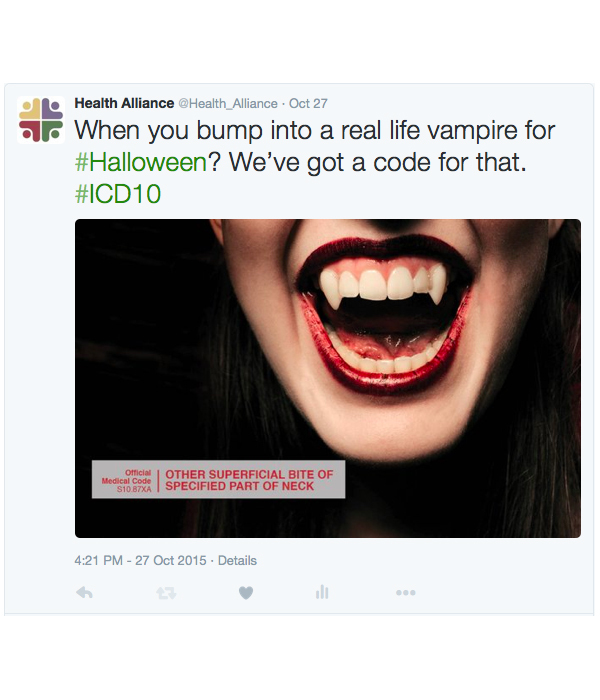 This ICD-10 awareness campaign was to help remind doctors that ICD-10 was starting on October 1. I wanted to make use of all of the unique and specific codes in ICD-10 in a clever way, and tell a story with a single image and limited writing. 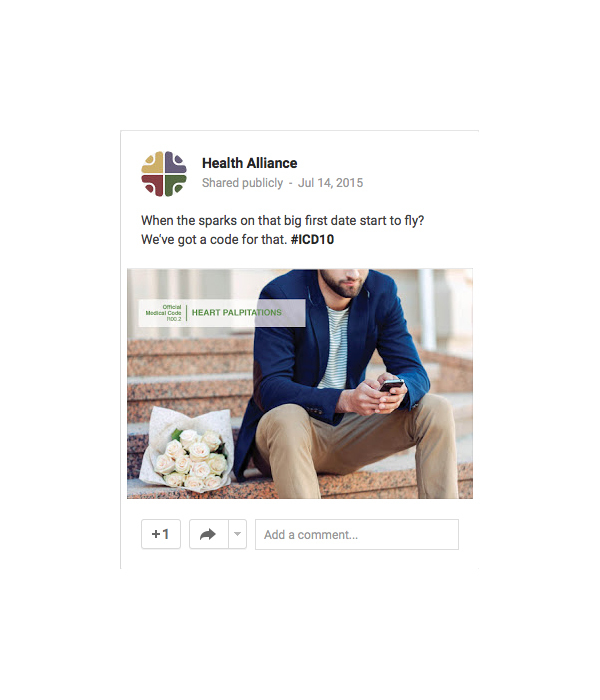 I also wanted to make sure that these posts were interesting for the people who have our insurance, who make up the majority of our social media followers, even though they're meant for doctors. 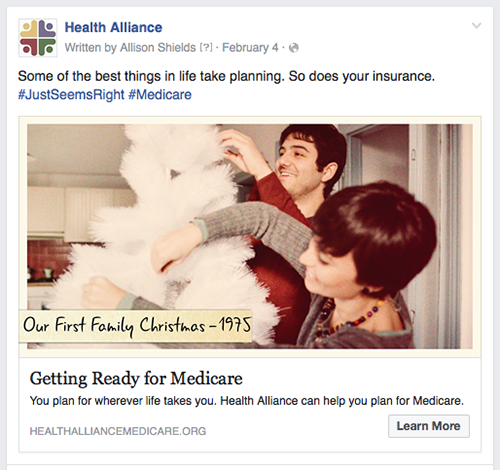 This is a post from the campaign I ran for Medicare's Annual Enrollment Period (AEP). 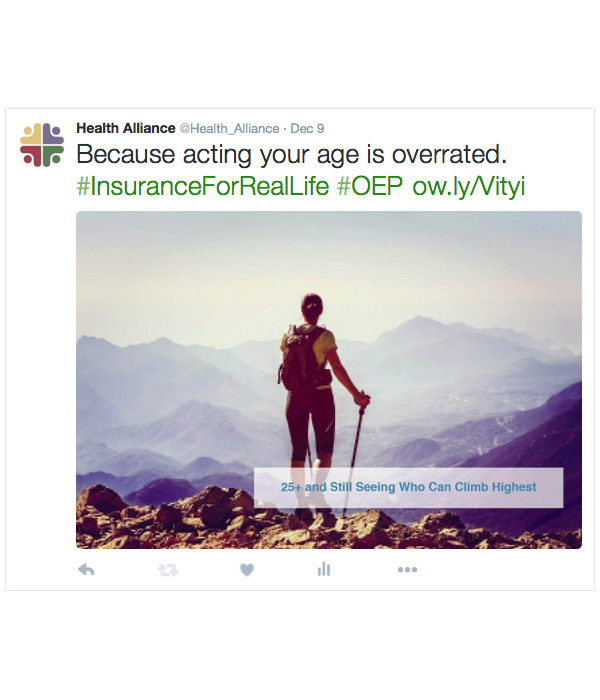 For these posts, I had to create a campaign that would work for both the AEP and the Open Enrollment Period (OEP) for individual insurance. 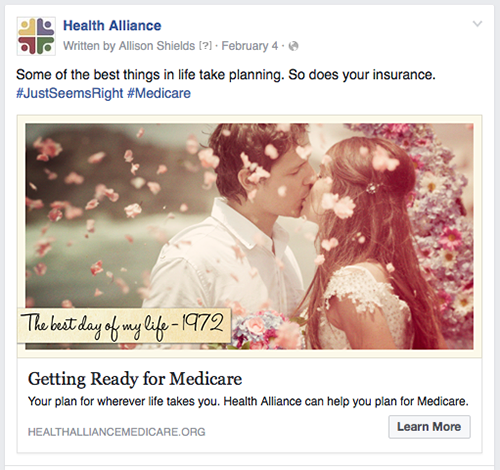 This series pushes people to the Medicare home page. For the Medicare half of this campaign, I focused on elderly people who are vibrant and full of life. I again wanted to tell a story with an image and a sentence, and also create a cohesive campaign. To achieve this, I created mini-stories where these people are chasing the goals, lifestyle, and fun that millennials more often strive for, while also implying that our insurance will protect you while you do it. For the individual half of this campaign, I'm using different hashtags, for OEP and for our individual insurance slogan instead of our Medicare slogan, but the same sentence and concept. 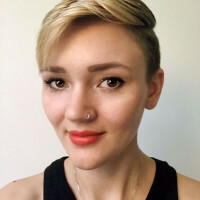 Because our individual target audience is young invincibles, or people in their 20s who are young, healthy, and buying insurance themselves for the first time, these are focused on 20-year-olds who are still embracing their inner-child. This series pushes to our Individual Plans page. 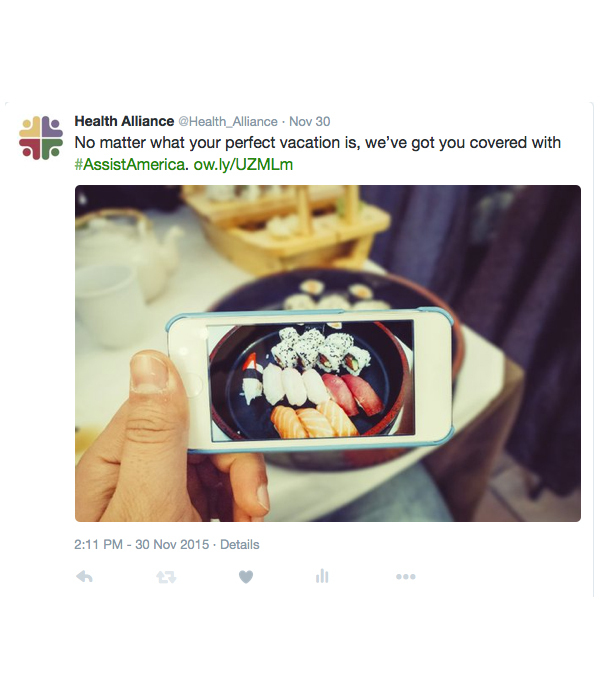 We have a program called Assist America that helps our members get care while they're traveling. We wanted a series to raise awareness about this feature, and I was inspired by the Instagram account where a woman is always leading her boyfriend somewhere. I wanted all the images to put the viewer in the position of the person taking the photo, to make them feel like they were on this vacation. This series pushes to our Assist America page. 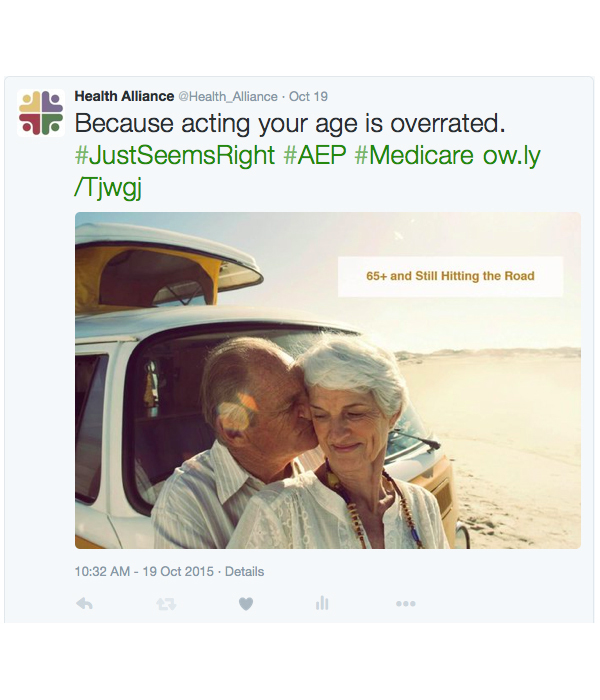 This is an example from another one of the series that I ran during AEP in 2015, Understand Medicare. 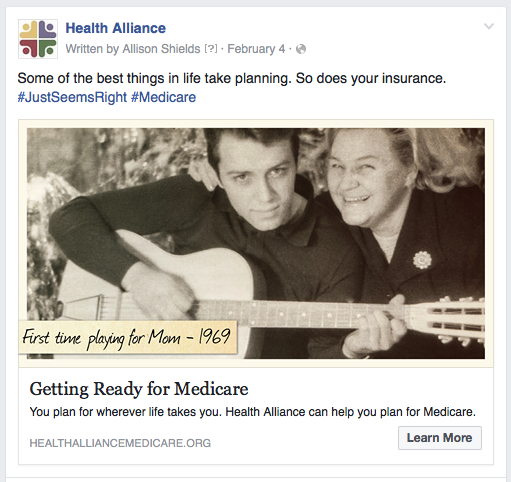 This series helps make sense of some of the confusing terms that go with Medicare. 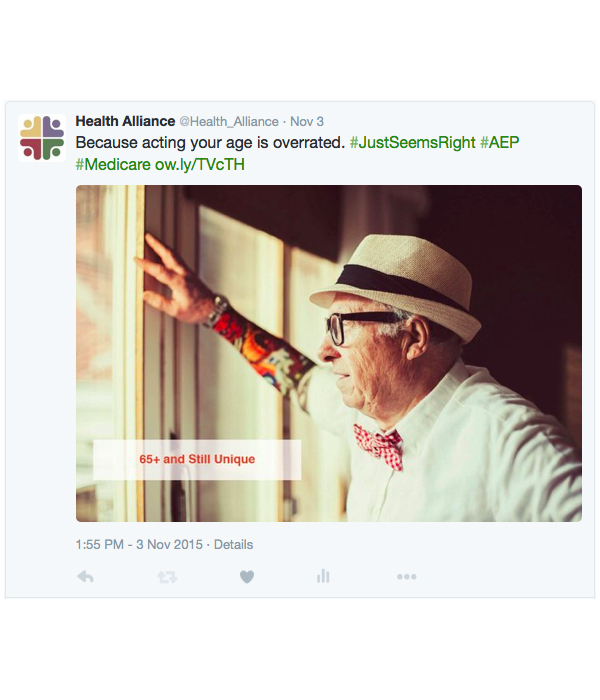 Each of these posts push to a corresponding page on the Medicare site that further explains these terms or shows options related to them. 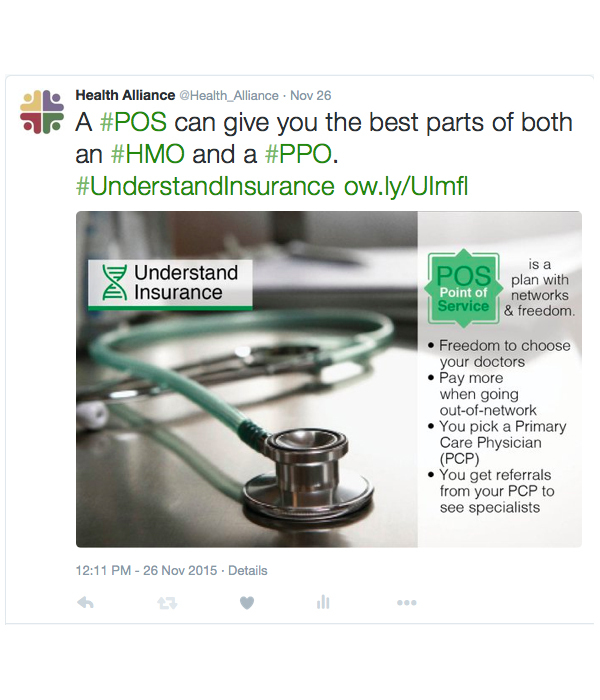 This is an example from the the OEP equivalent of Understand Medicare, Understand Insurance. This series helps people with acronyms and insurance words. Each of these posts push to a corresponding page on the sites that further explains these terms or shows options related to them. 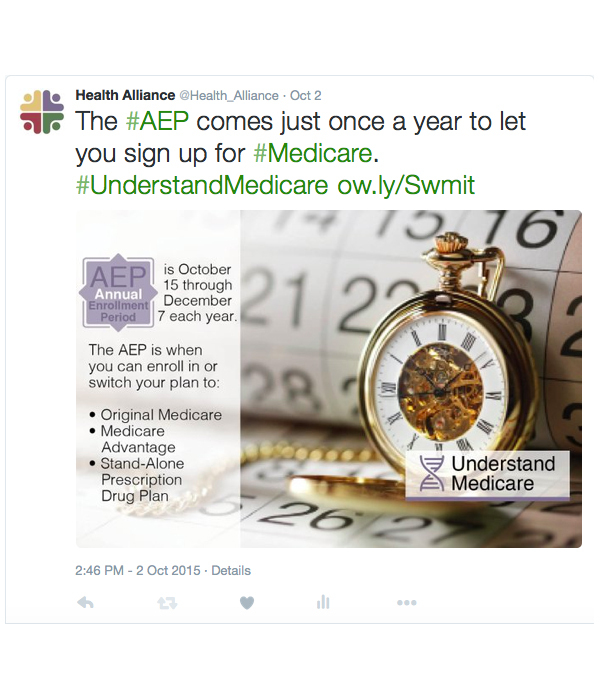 This is one of another AEP series that focused on the features our Medicare plans give to members. 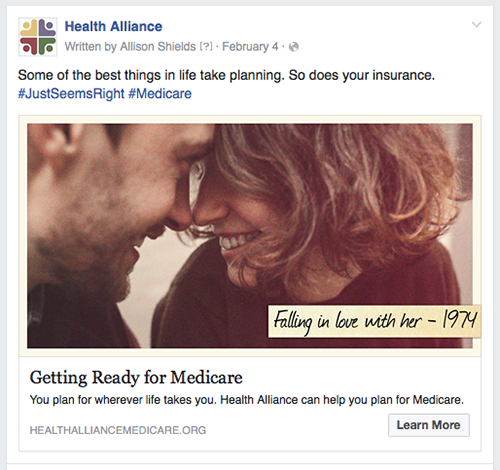 Again, these push to corresponding pages on the Medicare site. This is from the OEP features series that highlights the perks of all of our plans. These also push to corresponding pages on the sites. 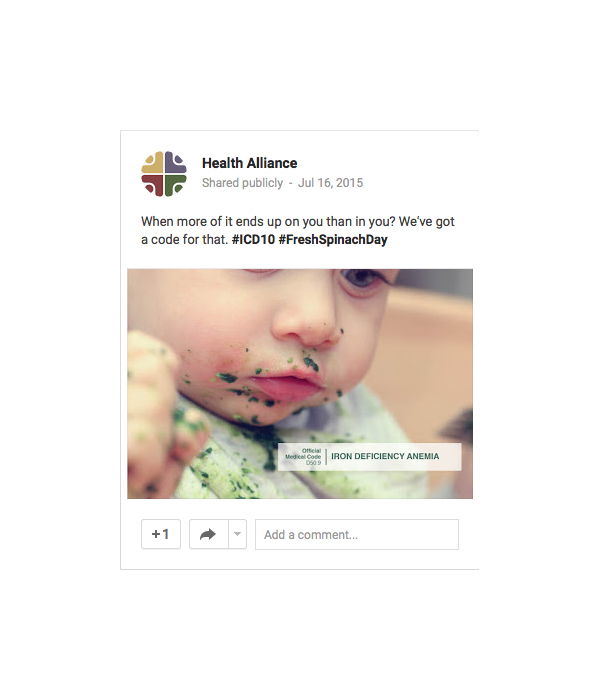 This is an example of the posts we run to promote blog posts. 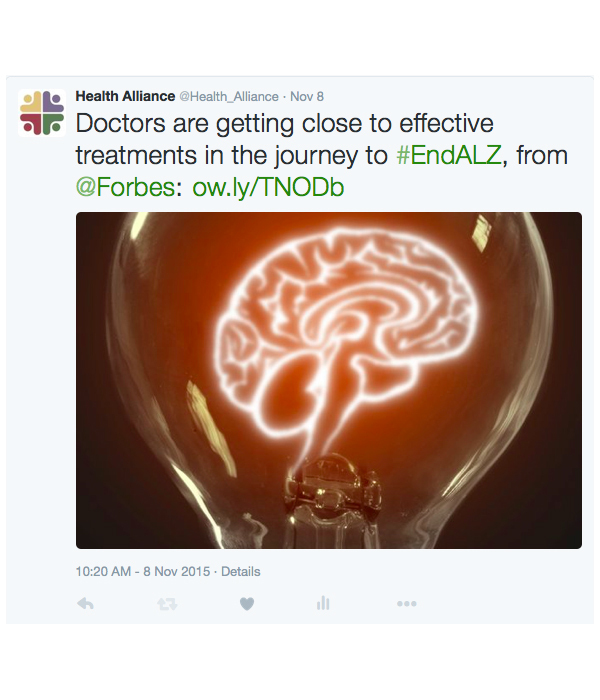 This particular one is for an article on Alzheimer's from our Medicare copywriter that tells the story of one of our members. 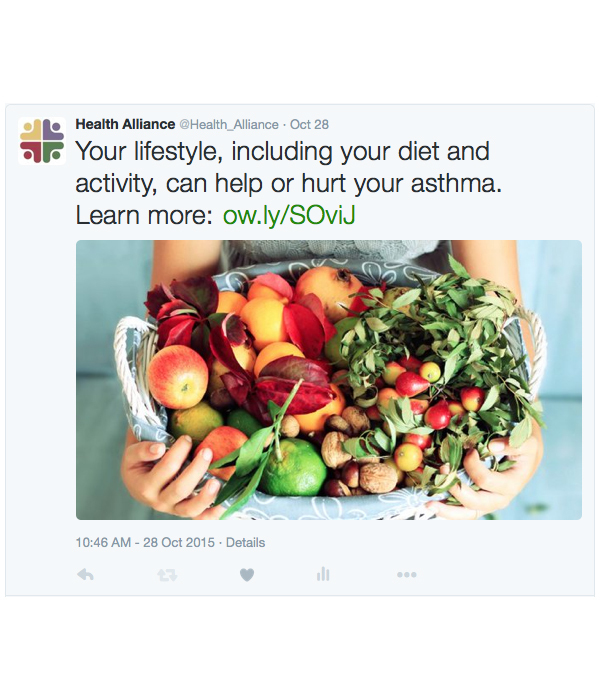 On our blog, we also have a lot of resources and posts about health awareness, including disease resource pages. 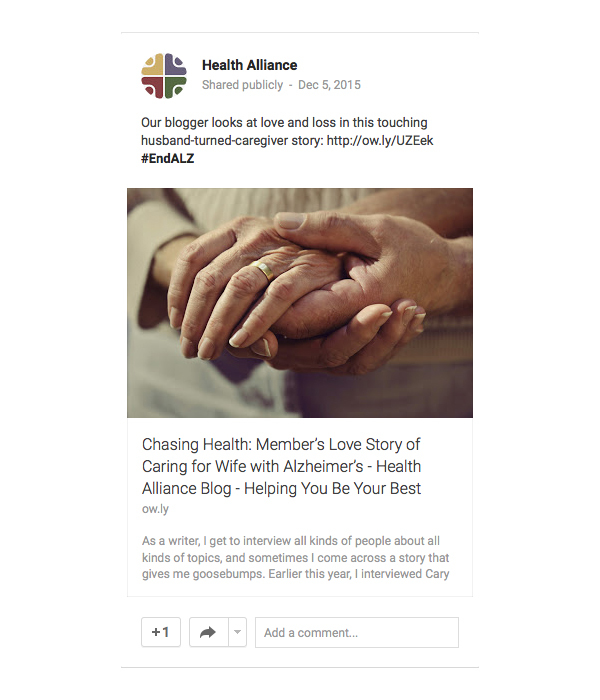 This social media post is a great example of what I run to push people to those resources. As a small company with a focus on local customer service, Health Alliance hosts and sponsors many events in our service areas, and we love interacting with our members and potential customers. Whenever possible, I love to share these moments on our social media. 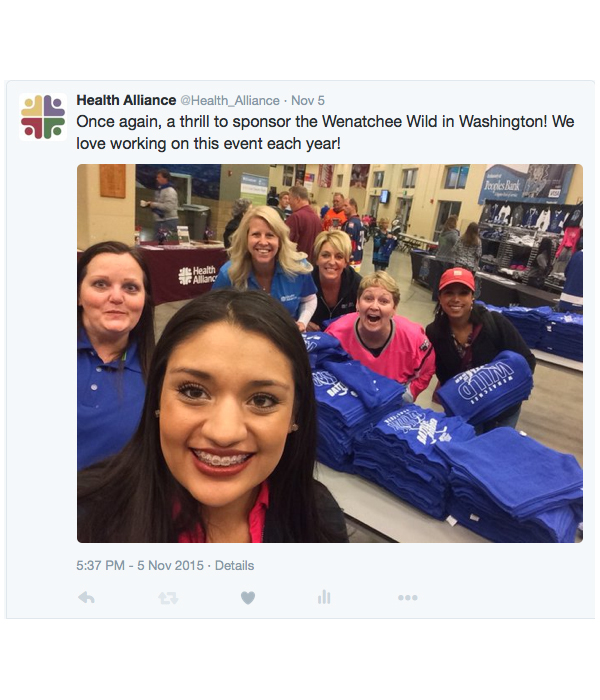 It engages both our employees and our members who saw us at these events. Every week, I run a daily series of posts on a different health or wellness subject. I try to always have images on these, and to have a hashtag that unites the series. I also use these as an opportunity to connect readers to resources or reputable news. This is another example of a health awareness post. In this case, instead of connecting them to pages of numbers, I built a graphic myself that pulls all of those numbers together. Every week, I also run a series of daily food posts. 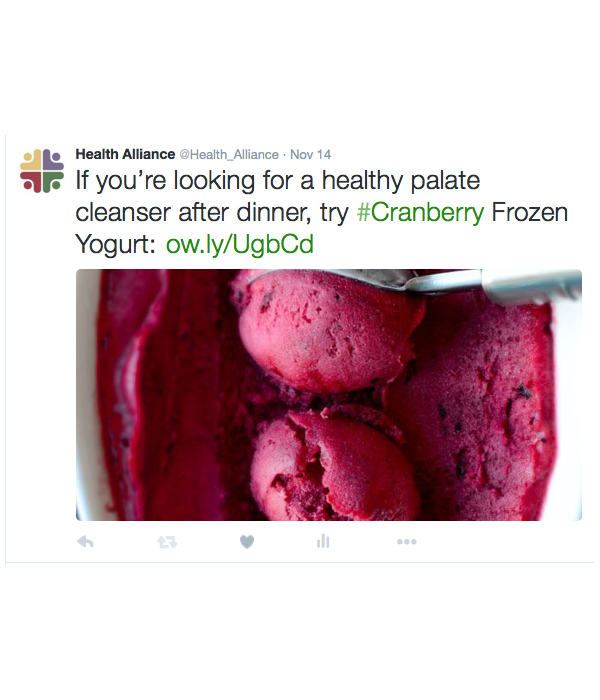 These posts are to connect our members to healthy, delicious recipes, and to make our online presence more interesting. I frequently feature an in-season fruit or vegetable, and this is a post from a November series I ran on cranberries. I also built a series of gifs for a #KnowWhereToGo campaign to help teach people when they should use the ER and when they should use urgent care. I wanted to use viral or recognizable gifs to make the lesson quick, interesting, and funny. See more of this series on the Health Alliance Giphy account. 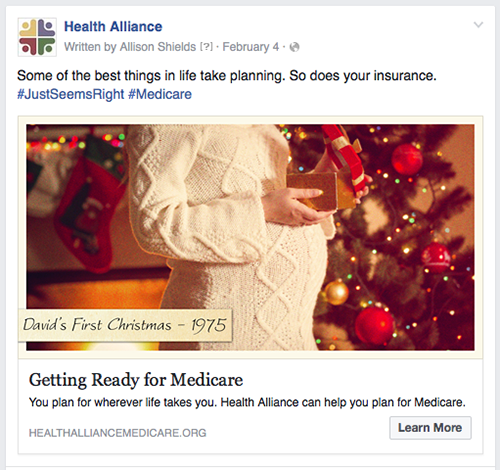 In 2015, I was given a budget to run paid Facebook ads for the Annual Enrollment Period (AEP). 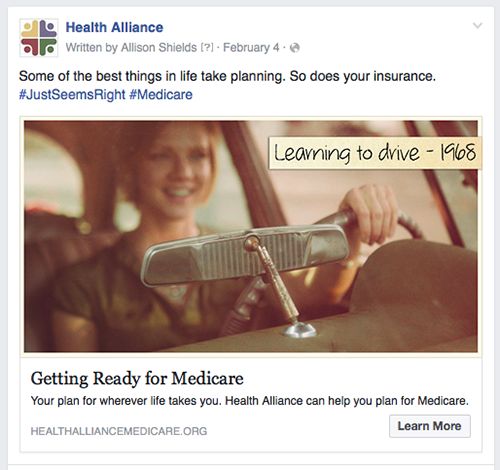 (In the past, external marketing agencies were creating paid ads.) By bringing the creative in-house, I was able to raise the weekly reach of my posts by nearly 3,000 over the reach of our last paid campaign with the exact same daily spend, and I ran their Facebook ads permanently after that. 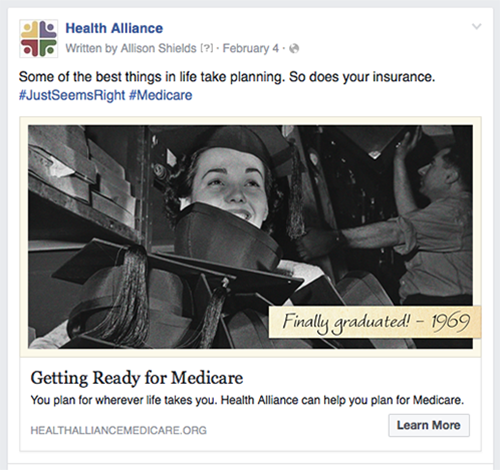 In 2016, I ran a series that played on nostalgia for the Medicare generation targeting people who were aging in and shopping for a Medicare plan for the first time. 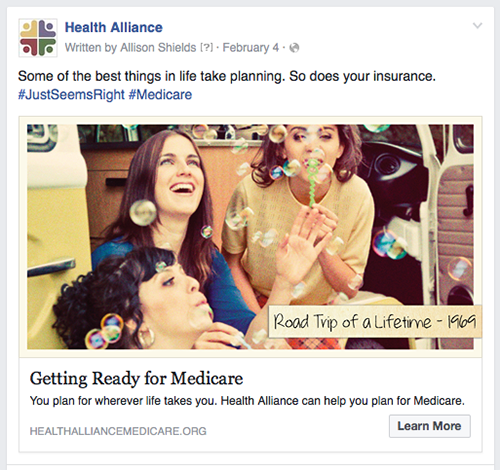 It also had a second touch campaign using the Facebook pixel that drove people who clicked through the link on the first set to helpful resources to start signing up, like getting more information or attending an educational seminar. 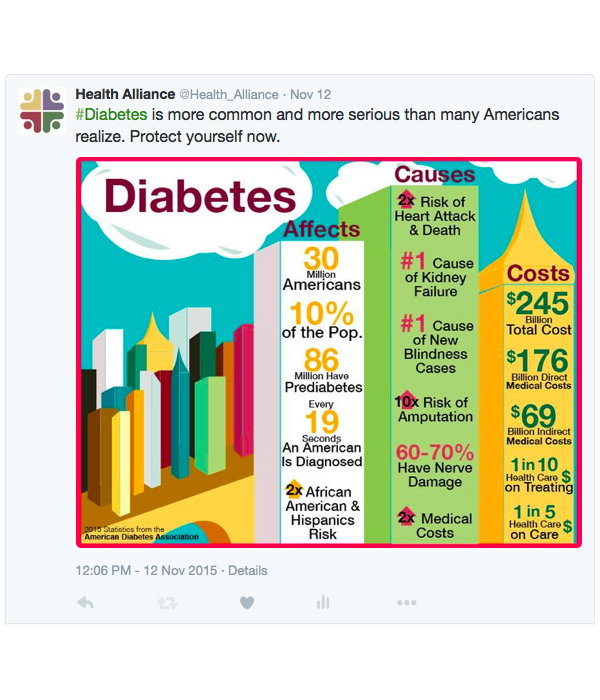 I also broke down graphics from our newsletters into digital infographics I could share on social media.